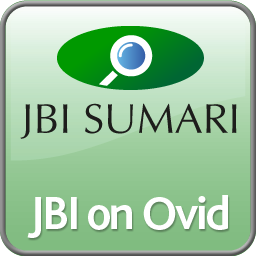 OVID is implementing an infrastructure change this weekend that impacts the login for accessing JBI SUMARI from Ovid. This change will provide a greater reliability for all users in accessing SUMARI from the Ovid platform. Unfortunately, implementing this change will result in up to one hour of downtime for this authentication method. The work will begin on Saturday, June 16 at 9 a.m. During this time, you will not be able to log into JBI SUMARI from Ovid. OVID Customer Support apologizes for the inconvenience.